Are you looking for a unique place for your special day? Then La Mariposa Resort is the place for you. Situated in the Tanque Verde Valley on the East side of the city, La Mariposa has a beautiful backdrop of the Catalina and Rincon mountains. The beautiful sprawling lawn, ringed by tall trees and a sparkling pond, make a great outdoor reception site. Just as lovely, is the Starlight Banquet Room with it's large grand skylight and floor to ceiling windows looking out to a beautiful view. The garden gazebo is a perfect ceremony site nestled in a mature Mesquite and Cottonwood grove. The trees and gazebo are filled with tiny white lights to create a magical background after sunset. 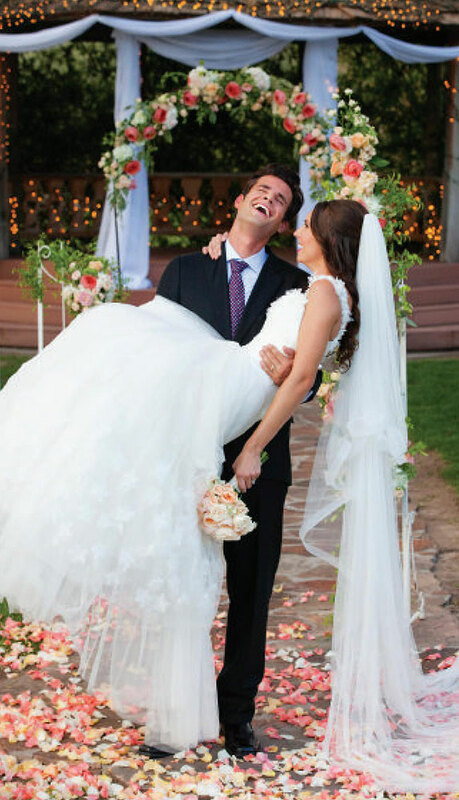 Start planning your Wedding at La Mariposa Resort by contacting our Events Department at (520) 749-1099 today!